Advertiser.ie - Mario Rosenstock - In Your Face! MARIO ROSENSTOCK is intent on getting In Your Face! when he takes his new show of the same title around Ireland this month, including a date at Leisureland, Salthill. Most people have 43 muscles in their face. With Mario, it seems we should multiply that by 10…and they all move at the same time! The popular comedian , satirist, and impersonator is set to present what is expected to be his biggest and most interactive show to date. He has spent 18 years on the legendary Gift Grub on The Ian Dempsey Breakfast Show on Today FM; starred in three smash-hit TV series of The Mario Rosenstock Show on RTÉ; been awarded 12 national radio awards; and is a member of Irish Radio IMRO Hall of Fame. 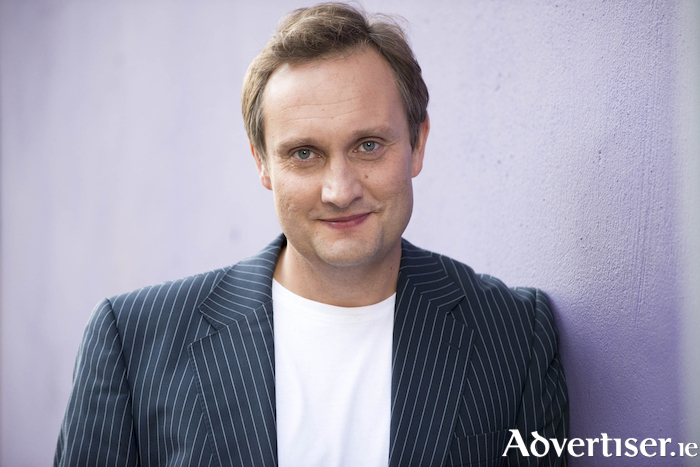 Mario Rosenstock plays Leisureland on Friday April 27. Tickets are available from Ticketmaster outlets, www.ticketmaster.ie, or 0818 719 300.